Music industry veterans Garry Hughes and Harvey Jones have crossed paths several times before, but Delia Derbyshire Appreciation Society is their first full-scale collaboration. The duo intriguingly named the project in tribute to the British sonic innovator best known for her groundbreaking work with the BBC Radiophonic Workshop, including the original theme to Dr. Who, recorded in 1963. 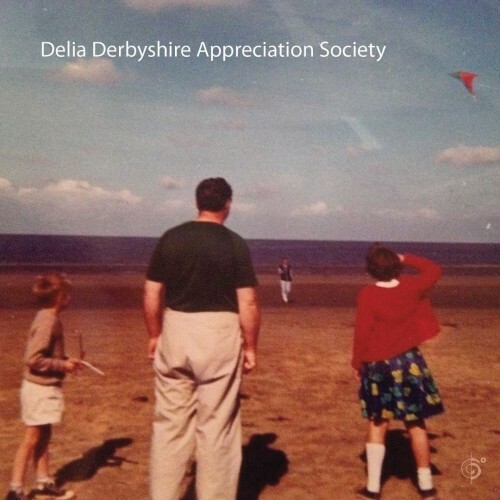 However, the DDAS moniker is somewhat misleading, as the pair's debut album isn't nearly as eerie or playful as Derbyshire's work, and definitely nowhere near as weird as An Electric Storm by White Noise, an absolutely brilliant experimental pop album from the late '60s that Derbyshire played a major part in creating. Instead, DDAS sound much closer to the serene ambient recordings of Brian Eno (with or without Robert Fripp) as well as '90s ambient techno artists such as Pete Namlook. Both Hughes and Jones are avid collectors of vintage synthesizers, and here they pool their resources for seven original compositions. Considering that Jones resides in New York City and Hughes lives in Wales, the collaboration feels seamless and natural rather than pieced together through the mail or over the internet. There are no beats on the album, but there's still plenty of lightly pulsating rhythms. Opener "Blue Filter" seems to calmly dance its way in, punctuated by deep bass plunges and warm, scattered arpeggios. Some pieces like "Half Light" are more free and drifting, and also somewhat darker. They also contain slightly warped textures that signify the analog nature of their recording. The most light-spirited moment is "St. Tropez 1966," which features layers of softly bubbling, melodic textures and a general feeling of dazed cheerfulness. "Ride Under Trees" starts out smooth and new age-y, with plenty of crystalline synths and reversed bell-like tones, but it ends up being almost overwhelming as it becomes flooded with swerving bass and sweeping filters. The release is an enjoyable effort that never seems to take itself too seriously.